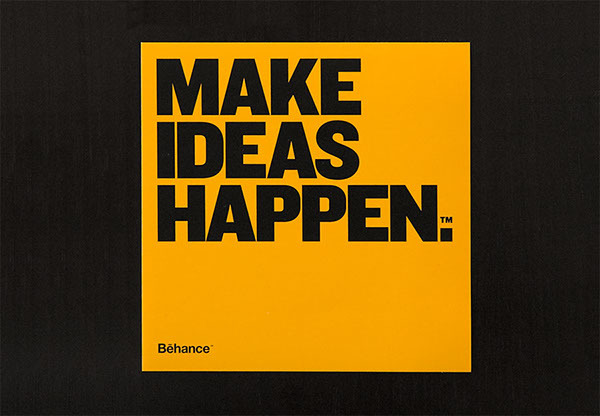 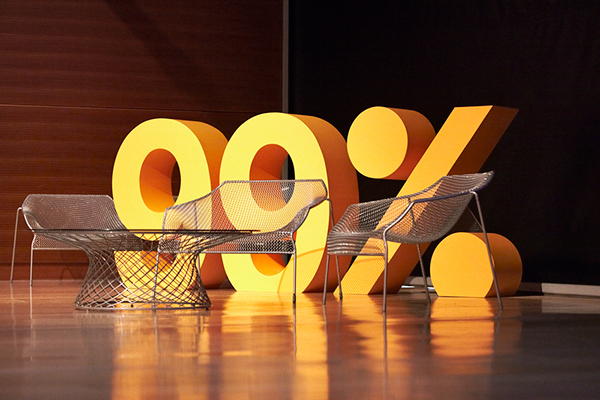 Behance's 99% Conference brings ~450 leading creatives together for two days purely focused on exploring the mechanics of idea execution. 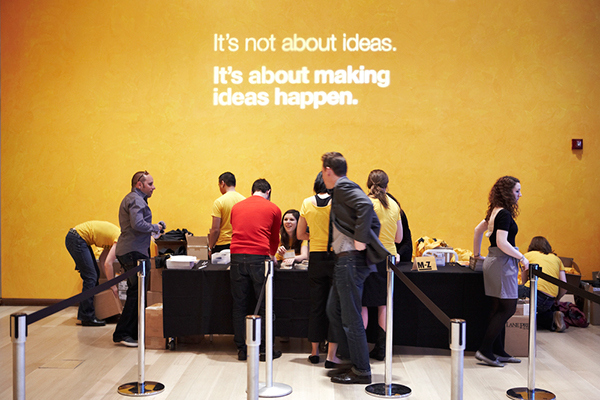 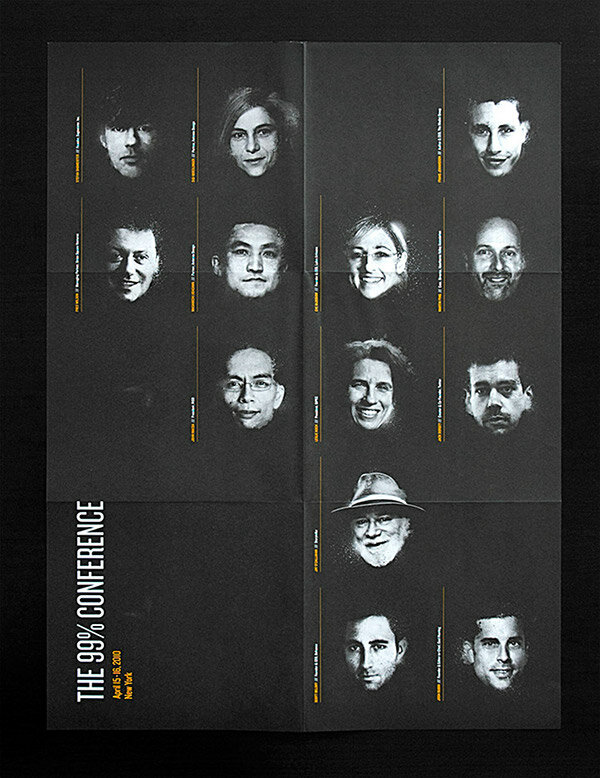 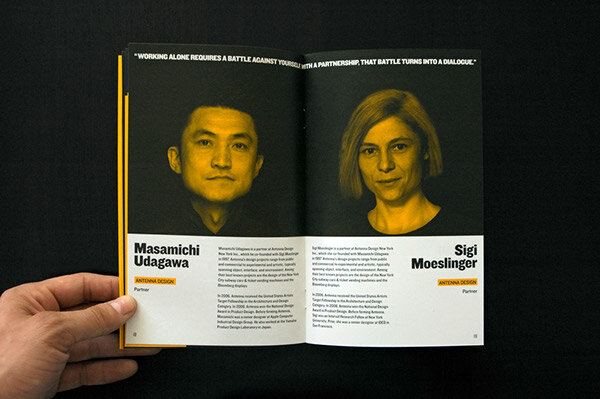 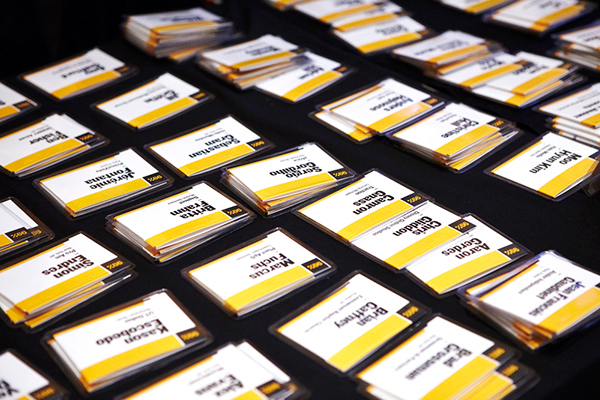 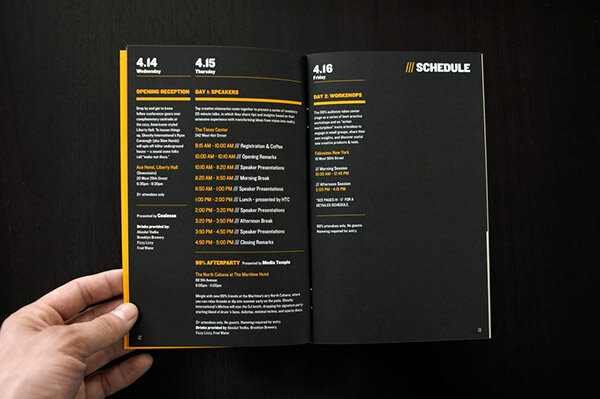 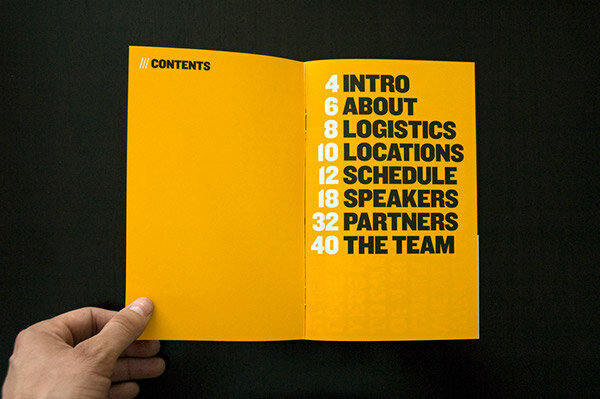 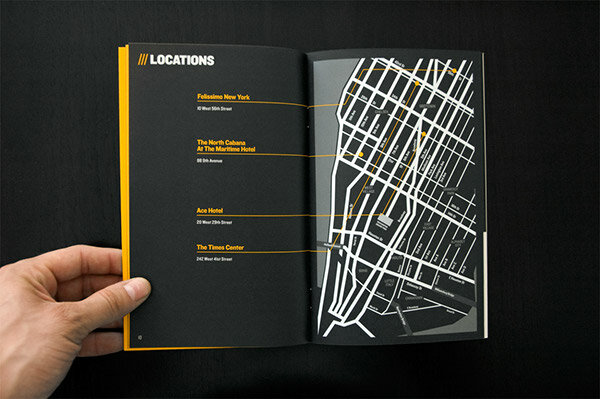 Every year, we re-imagine and re-design all of the conference materials to give the event a fresh, dynamic look. 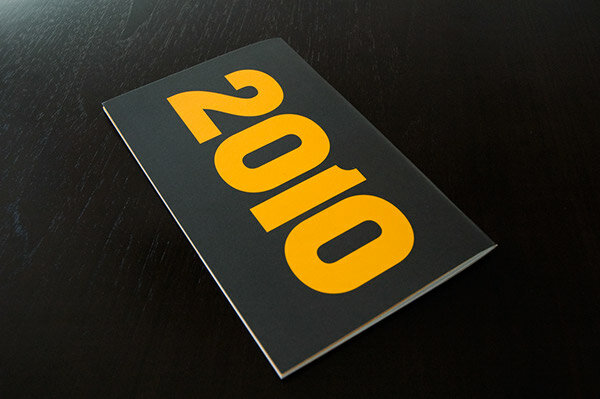 Even though the original brand was pink and gray, we wanted to make every year stand out and have it's own distinct look and feel. 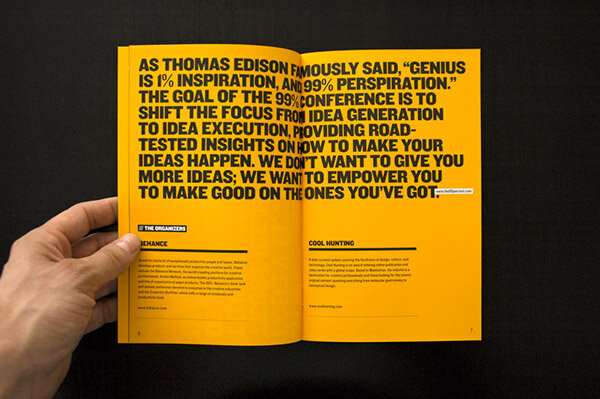 We also used Knockout instead of Helvetica Neue to give it a bit more of personality. 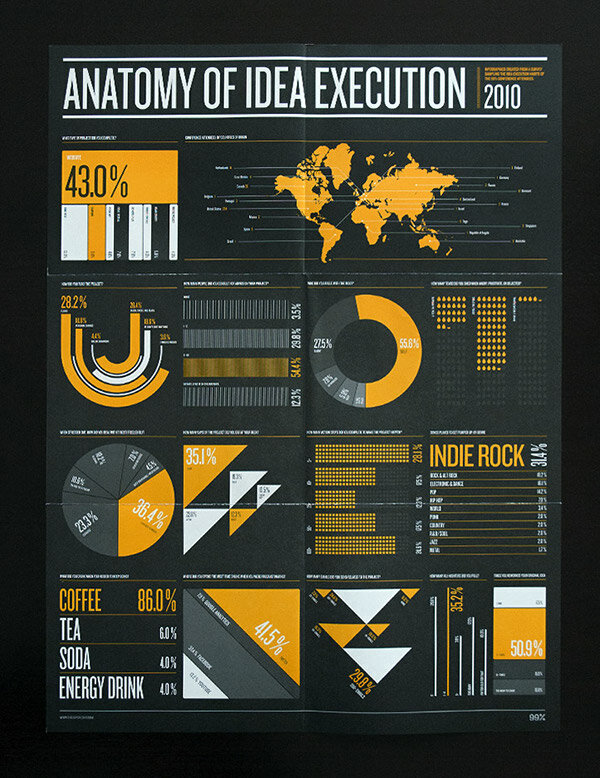 We collected data from the attendees of the conference to build this infographics poster. 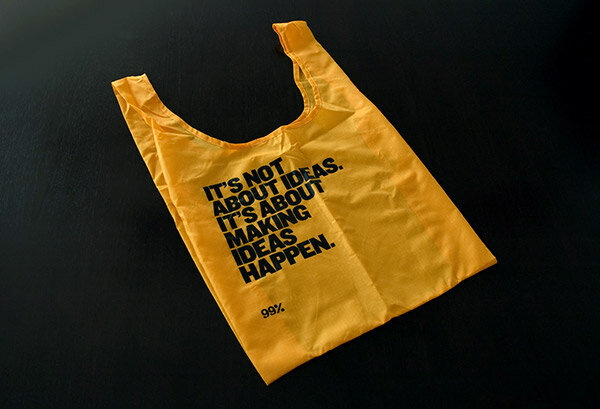 BAGU made our toe bags happen. 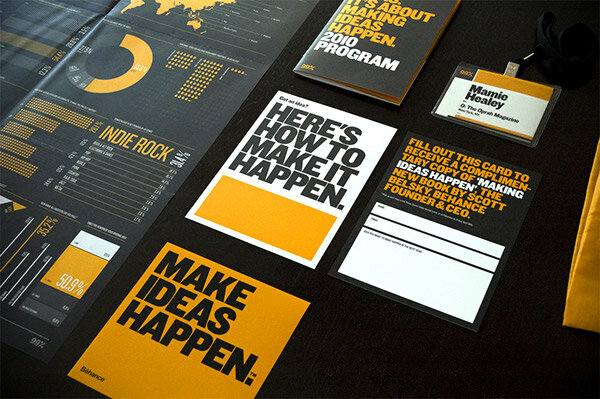 Resistant, durable and fashionable. 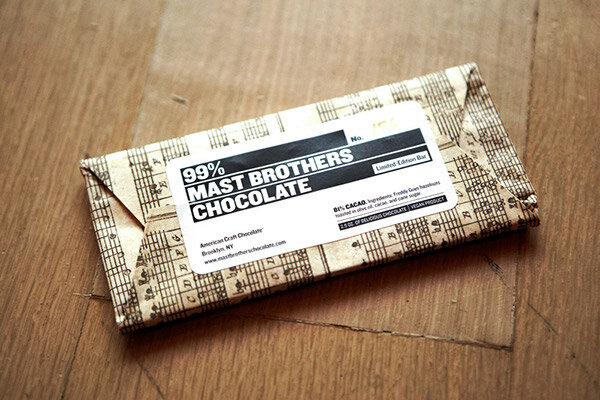 Also we partnered with Mast Brothers to bring some bitter sweet chocolate to the Conference. 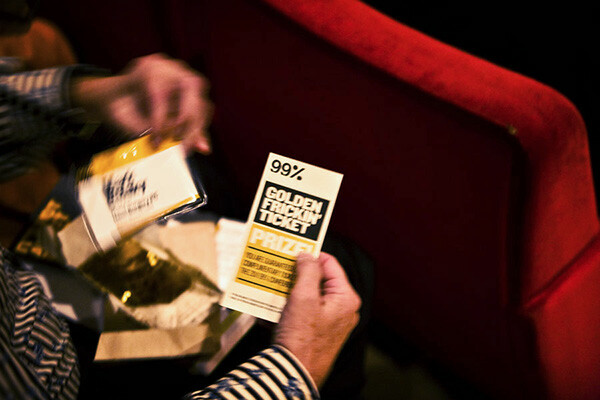 We designed the labels for the numbered 400 chocolate bars they produced. 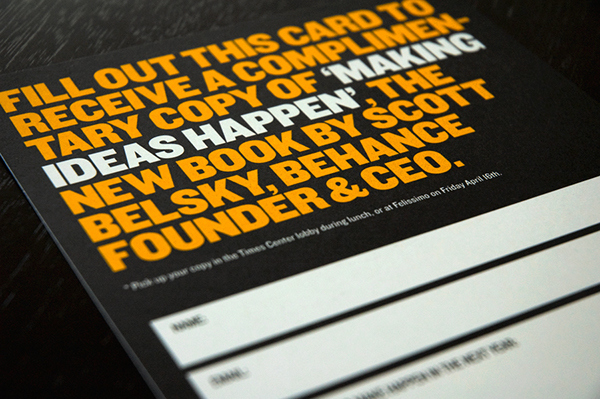 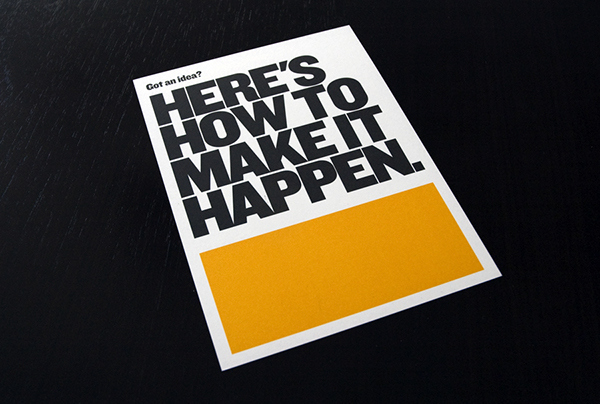 Another giveaway was a copy of Scott Belsky's Book 'Making Ideas Happen'. 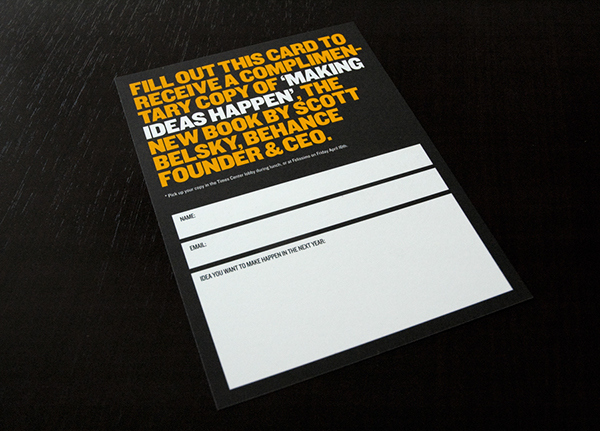 To receive the book, you fill out this "accountability card" with an idea that you want to make happen. 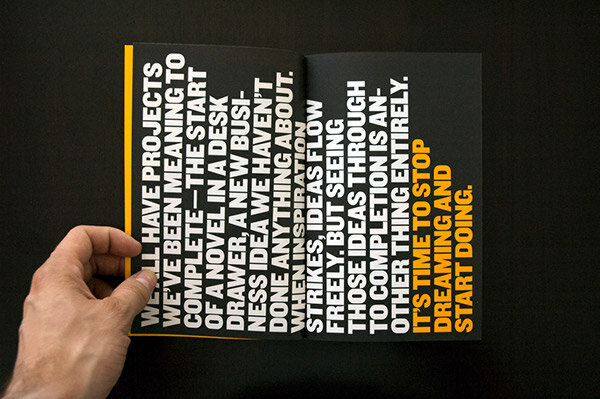 Then we follow up in six months to see how it's going! 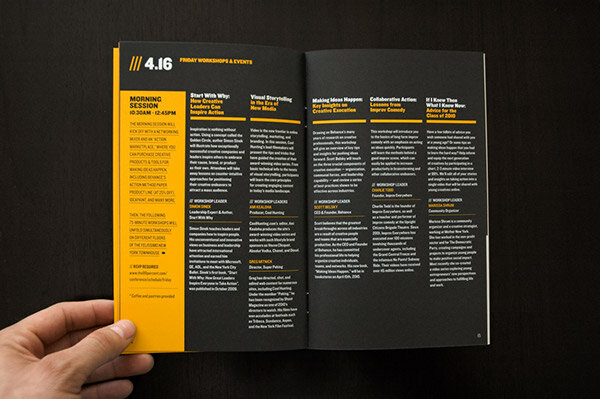 We doubled page size this year and went bolder with the use of full color pages and larger font sizes. 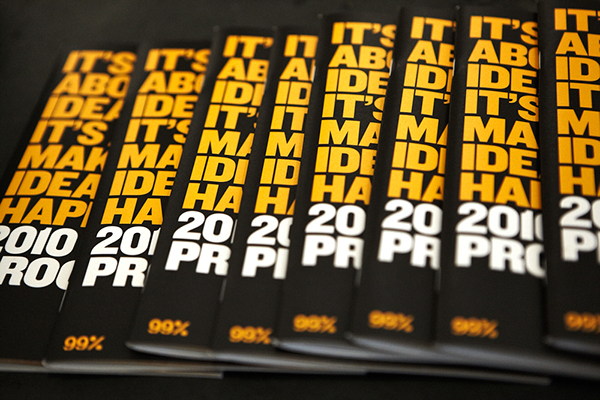 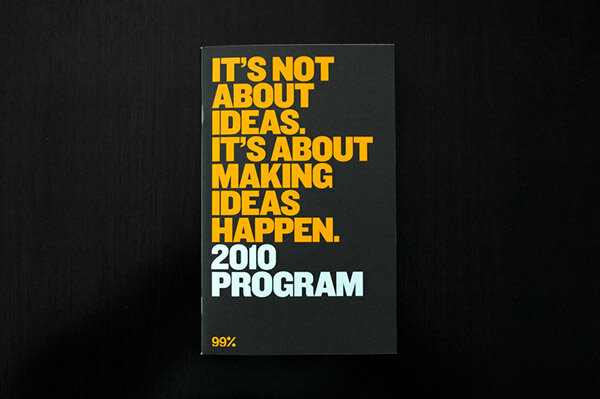 99% Conference 2010 Branding and Materials, all done in house by the Behance design team. 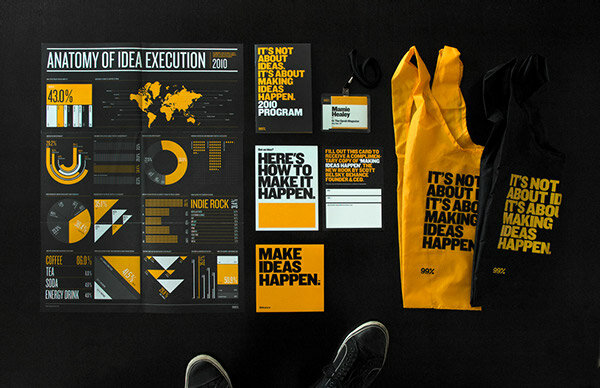 Yellow, black and Knockout from Frere-Jones.